You have to strain your ears a little when you hear Sireesha speak for the first time. She speaks so softly that the hum of the air-conditioner above her desk could drown out her voice. The young lady in her twenties has been working with Vindhya E-Infomedia, a Bangalore-based BPO, for about four years as a quality analyst. She’s not comfortable talking to a stranger and shifts uneasily in her wheelchair as she answers questions. She grew up in Andhra Pradesh and prefers not to speak about the small town where she grew up. Being in Bangalore and working at Vindhya exposed her to an environment that she loves being a part of, she says. With her first salary, she bought a mobile phone for her father. After that, she saved and bought a phone for her mother. Her third phone was for herself. She made these purchases on Flipkart. “I like the fact that Flipkart allows you to choose from a variety of products and has a nice collection — but it could be better,” she says. She adds that the delivery experience is nice and it is comfortable to be able to get things delivered wherever she needs them. “My next big buy from Flipkart will be clothes for my brother’s newborn child,” she says, her face lighting up with a million-watt smile. 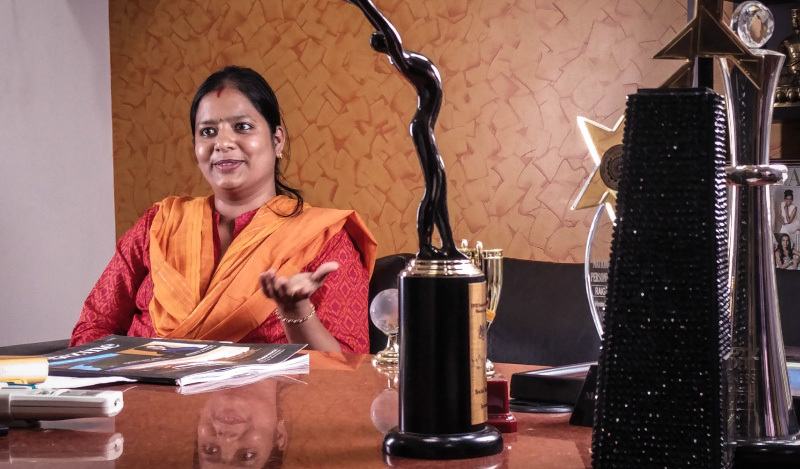 Sireesha is one of Vindhya’s 900 employees with special needs. 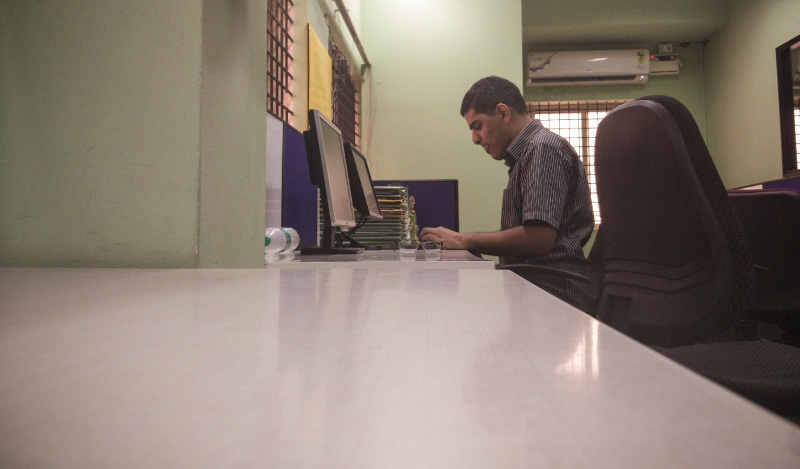 Differently abled workers form a majority of the company’s staff. Sireesha and her colleagues enjoy shopping online. 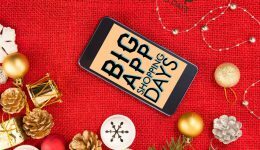 “There are times when some of them will be huddled over a screen checking out the best deals and comparing prices, helping each other shop,” says Vindhya CEO Ashok Giri. “We usually give employees an hour for personal internet use which is not monitored. So I didn’t know they were using that for online shopping. I started noticing almost 8-10 deliveries being made every day to our offices. All of these would be from online shopping platforms such as Flipkart. This is when I decided to investigate who was getting these deliveries.” Giri found that most of the staff were buying online. A surprising story emerged. Platforms like Flipkart, he says, are allowing his employees to gain “dignity of purchase”. Online platforms can’t judge who is buying what from them. The deliveries arrive for everyone at the time they’ve been promised, the choices and prices are the same. “It is an aspect of e-commerce that no one was talking about,” adds Giri. Sunil Kumar has been with Vindhya since 2009. He started off as a web page analyst and is now an assistant manager. Popular among his colleagues, he has a way with words and an easy sense of humour. These are traits you will notice about him before you observe that he is physically disabled. His quiet confidence and ability hide the fact imperceptibly. 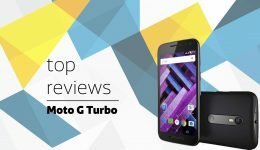 A technophile, Sunil likes using tools to enhance his day-to-day life. “I use Whatsapp calling and video calling regularly to talk to my friends. The internet and smartphone revolution has changed a lot of things for me and added a lot of convenience to my life,” he says. This convenience and comfort is why Sunil prefers to shop on Flipkart. His last purchase was a set of earrings and a bracelet for his friend. “Is she your girlfriend?” teases Pavithra Y Sundareshan. Sunil smiles enigmatically but doesn’t comment. Pavithra is the managing director and co-founder of Vindhya E-Infomedia. This camaraderie is characteristic of her interactions with the employees. While work remains priority, outside of it she treats everyone as family and the employees reciprocate. Sunil agrees. “My favorite thing about working at Vindhya is the fact that Pavithra doesn’t act like my MD. I can always reach out to her about anything,” he says. Partners in life and work, Pavithra and Giri established Vindhya in 2006 with the aim of finding ability in disability. Like any other BPO office there are cubicles, computers and people working at their desks. What is different are the streamers and decorations surrounding the desks. The atmosphere is almost festive. 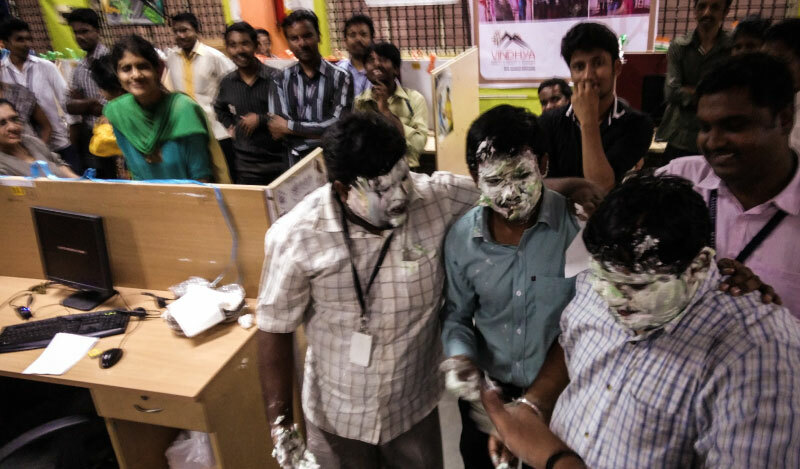 “We celebrate birthdays, festivals and everything we can at the office. It’s our way of thanking our employees. That’s why we have these decorations. It keeps everyone happy,” explains Pavithra. This is not necessarily the kind of organisation Pavithra and Giri had envisaged when they were setting up Vindhya. “We did not want to rely on donations and funds,” adds Pavithra. The idea was to create a venture that marries philanthropy and business in a sustainable manner. There are other things that make Vindhya special. “We were busy with work and it was my daughter’s birthday,” says Pavithra. “Some of the employees found out and they arranged for samosas, cake and cold drinks. Everyone celebrated her birthday and since then we’ve always celebrated birthdays here,” she reminisces. Today the company is celebrating the birthdays of employees that fall in November. The celebration is raucous and ends with copious quantities of cake smeared on the faces of the stars of the show. In a similar vein, the company also started a canteen to offer employees meals throughout the day. “We don’t want our employees to feel like they are recipients of charity so we ensure that they pay us for these meals,” adds Pavithra. The company also helps provide accommodation and interest-free loans to employees. Vindhya is one of the largest BPOs in India offering services to microfinance companies and one of the biggest regional language service providers. Srinivas, a front-desk executive who doesn’t have the use of both his hands, is a tall, confident man in his early thirties. He taught himself how to use computers, phones and everything else he would need to be great at his job. “You would not believe but if we asked him to get a pin, he’ll actually be able to do that,” says Giri about Srinivas. An avid online shopper, Srinivas has bought mobile phones on Flipkart. During lunch breaks, he can be seen helping other employees with their purchases. From teaching them to compare prices, helping them make the best decisions to suit their needs, and placing orders, he’s a shopping maven of standing among his friends. His colleague Yashoda is hearing impaired. She has been with Vindhya from its initial days and is the reason why Pavithra learned sign language. 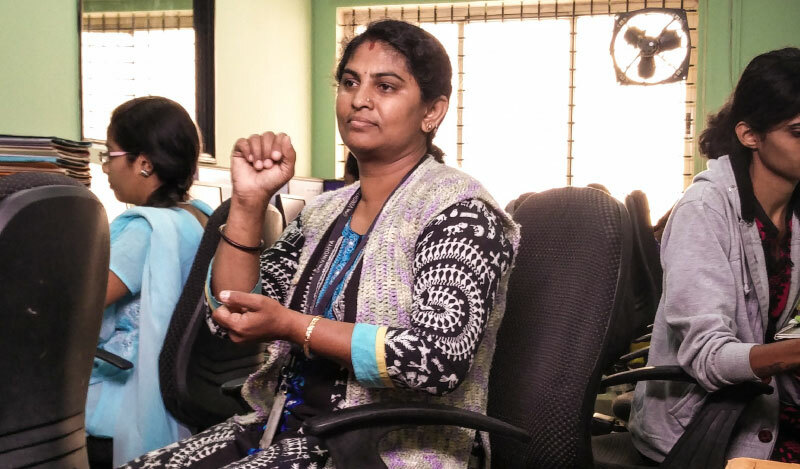 “She came to the office and asked for a job,” says Pavithra. “At the time we were only offering jobs to people with physical disabilities and I didn’t know any sign language so we had to write questions to interview her. I knew she was right for the job but I didn’t know how to work with her. She offered to teach me sign language if I offered her a job,” Pavithra recounts. Extremely animated and quick to mimic the mannerisms of people, Yashoda is a veritable ray of light at the office. If you can’t speak to her in sign language, she’ll play charades with you until you understand what she’s saying. And she’ll never lose her patience. Articulating in sign language interpreted by Pavithra, Yashoda explains that she shops on Flipkart regularly. 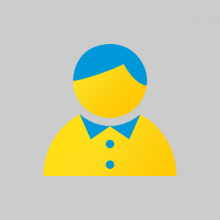 She believes that Flipkart has a great inventory and the best delivery system she has encountered. However, she does not like the fact that delivery personnel call her on her phone when they are delivering since she can’t say anything to them. 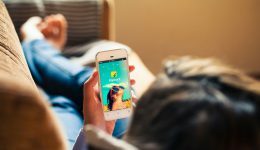 She would like for the company to develop a system where she can be informed through a text message or some other form of notification of the fact that her delivery has arrived. The ability to deliver to anyone is an important aspect of online shopping that many of us unwittingly take for granted. 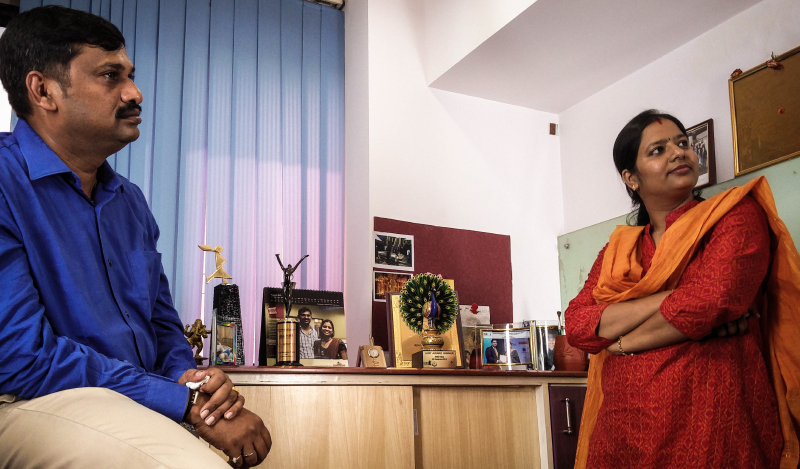 Even Giri and Pavithra, who have worked with differently abled people for a decade, had to introspect in order to discover the impact that online shopping had on their employees. 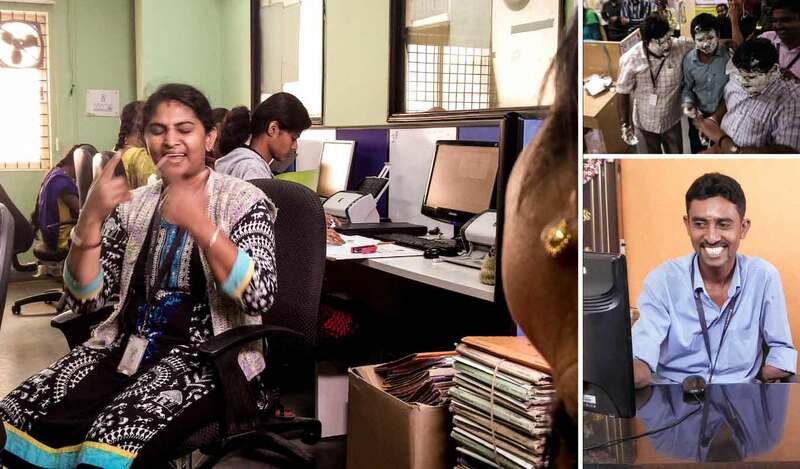 People working behind the scenes at Flipkart – from engineers to delivery personnel – endeavor to satisfy customers. The e-commerce customer is in all ways equal and just as important as any other. Accessibility is a key game-changer. This insight from the empowered customers at Vindhya E-Infomedia contributes immensely to helping build a more accessible, more inclusive e-commerce infrastructure that caters to every customer. The sun starts to set and as dusk pulls in, so does Dayanand, a delivery person from Flipkart. The young man is there to deliver a package from a delivery hub close to the office. He smiles in recognition at the watchman sitting at Vindhya’s desk. The evening comes to an end. It’s just another day in the life of a Vindhya employee. Team Flipkart Stories thanks Sireesha, Yashoda, Srinivas, Sunil, Gajendar and other employees of Vindhya E-Infomedia. We are also grateful to Ashok Giri and Pavithra Y Sundareshan, founders of Vindhya E-Infomedia, for sharing their time and insight. previous Don't let your wishes fade. Add them to the Wishlist! Vishad Sharma was a content writer for Flipkart Stories.